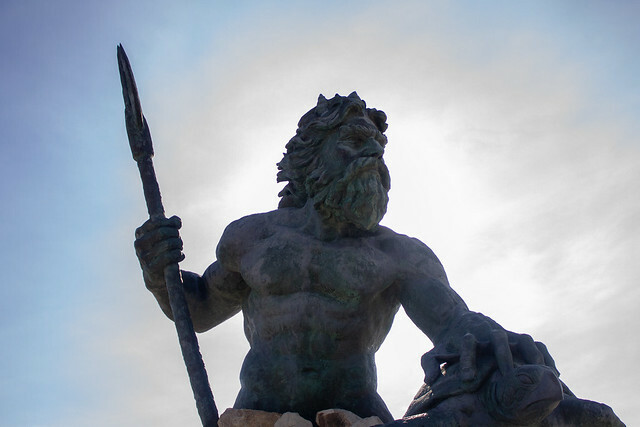 The 2018 Annual Meeting in Virginia Beach drew over 600 attendees and their families including three Supreme Court of Virginia justices, as well as members of the judiciary from all levels and lawyers from across the commonwealth. Unlike the previous two years, the meeting featured beautiful weather and sunny skies. "Each of us is an officer of the court, each of us is licensed with power to start law suits, subpoena witnesses, opine regarding transactions, stand between our clients and the awesome power of the state. It is we who are charged with undertaking pro bono services, defending the independence of the judiciary, accepting court appointments, providing volunteer services for our bar associations, recommending discipline of our own, teaching continuing legal education courses, explaining our system to the public and working to improve the laws and legal institutions." 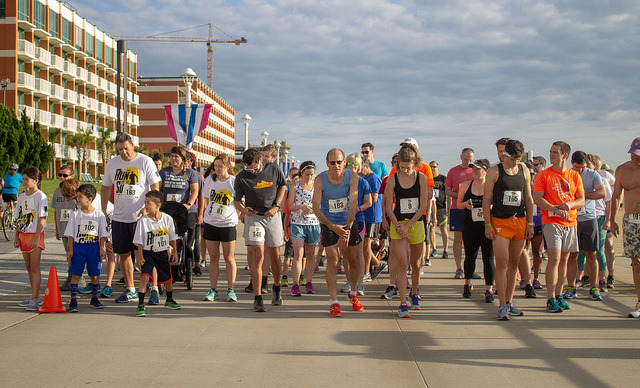 Other fun was had during the 5k race, sponsored by the YLC and Virginia Lawyers Weekly, the David T. Stitt Memorial Volleyball Tournament, the Fore Diversity golf tournament, the opening reception and the banquet, sponsored by the McCammon Group. Check out the flickr album of photos here. If you have suggestions or ideas for improving the Annual Meeting or would like to get involved, please contact Maureen Stengel at stengel@vsb.org or 804-775-0517. We sincerely hope to see you next year in Virginia Beach! 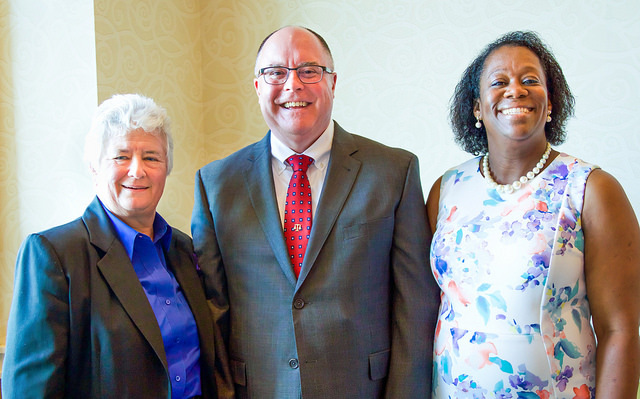 VSB President-elect Marni E. Byrum, 2018-19 President Leonard C. Heath Jr., and Immediate-past President Doris Henderson Causey. 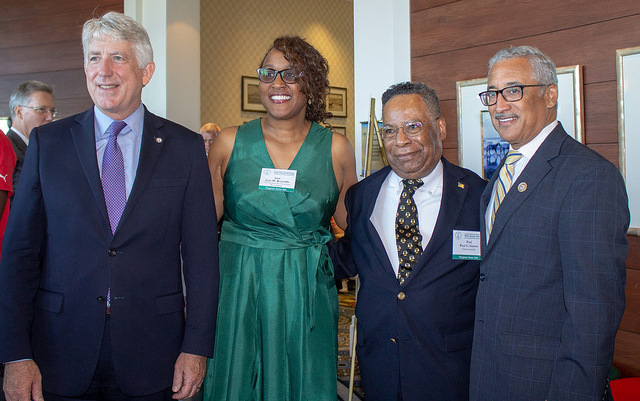 Attorney General Mark Herring (left) and Congressman Bobby Scott (right) attend the President’s Reception before the banquet. Some of the many awards given out at the meeting included the Virginia Legal Aid Award and the Oliver Hill Law Student Pro Bono Award. 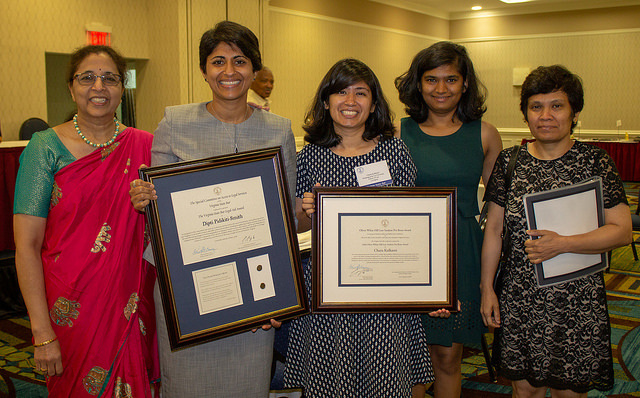 From left to right, Priya Pidikiti, Legal Aid Award winner Dipti Pidikiti-Smith, student award winner Charu Kulkarni, Neeraja Kulkarni, Sulekha Kulkarni. The 5k Run in the Sun participants on their mark.